SCORE! Be the MVP at this year’s football party. With all those pretzels, chips and dips – you will definitely want to make room for this! 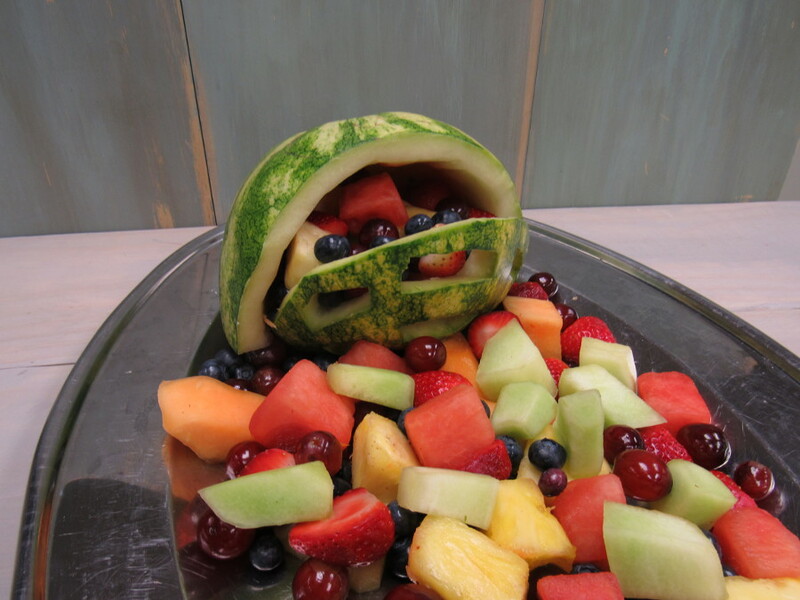 This watermelon football helmet filled with vodka infused berries, melons and other fruits is sure to be a touchdown with guests! If this fruit arrangement was 10 yards away would you be the first down to eat it? Choose whatever fruits you want! We chose to go with a mixed assortment of cut strawberries, honeydew melon, cantaloupe, grapes, blueberries and pineapples. In the meantime, you can start carving your helmet! Slice your watermelon approximately 3 inches from the stem. Once you have both of your halves, scoop out the watermelon and cut into pieces. Add your watermelon pieces to the other fruits being infused with vodka. For the head part of the helmet: on the sliced side of the larger half facing down, carve out a “U”. For the mouth piece: take the smaller half and carve out little rectangles (we did 6 in total). Attach the mouth piece with toothpicks to the head of the helmet. Set aside on a large platter in the fridge if your fruit is still infusing. 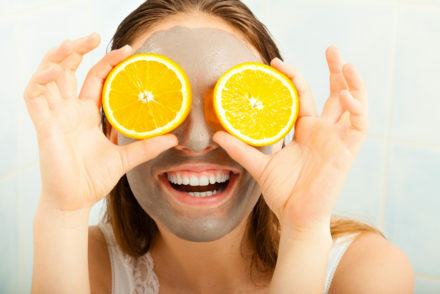 Once your fruit is infused, fill helmet and platter with fruit. Now you’re ready to get the football party started!